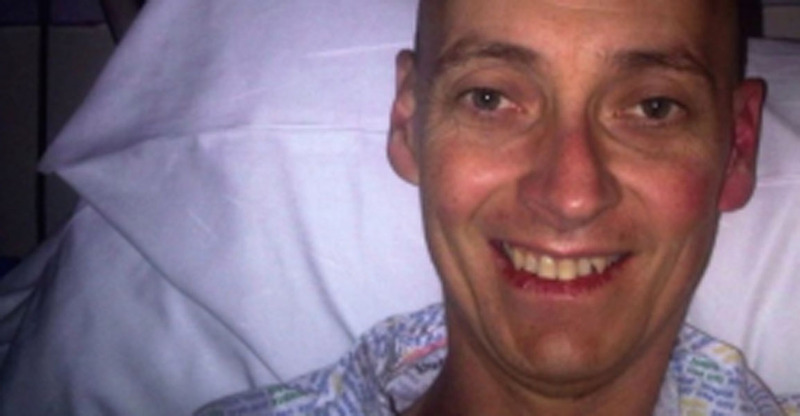 Treated for cancer instead of MS, how this man’s body changed is unbelievable. The 42 year old Steven Storey from England, used to compete in triathlons. He was fit, healthy and lived a 'normal', happy life. That was until one day in 2013 when everything changed. In 2013 Steven was crossing the road when his body seemed to give way. He didn't fall, but appeared to slump down and his body simply couldn't carry him any more. The next day Steven was submitted to hospital and diagnosed with Multiple Sclerosis (MS), a disease in which the nerve cells are damaged and disrupt the nervous system's communication. The results can affect the body physically, mentally and sometimes even psychiatrically. The disease progressed in Steven quickly and within 9 months he was no longer able walk or even hold a spoon and feed himself. He require acute care 24 hours per day. From Steven's T10 (the tenth thoracic vertebra) down, he had no sensation. "You could have stabbed me in my leg and I wouldn't have felt it." said Steven, as he described the lack of feeling from his waist down. 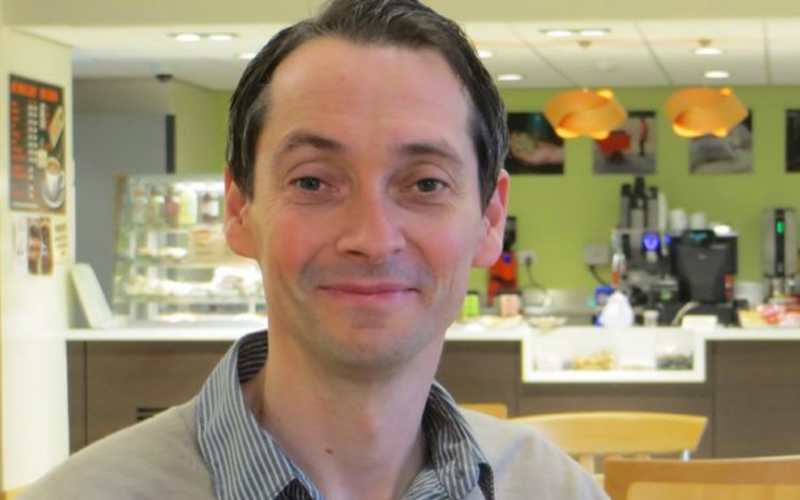 It was then that Steven started a HSCT (haematopoietic stem cell transplant) program - an intensive chemotherapy program normally used for cancer patients. Stem cells are extracted and harvested from the patient's own bone marrow and reintroduced into the bloodstream after chemo. The aim is to destroy the faulty immune system and essentially rebuild it with the stem cells. 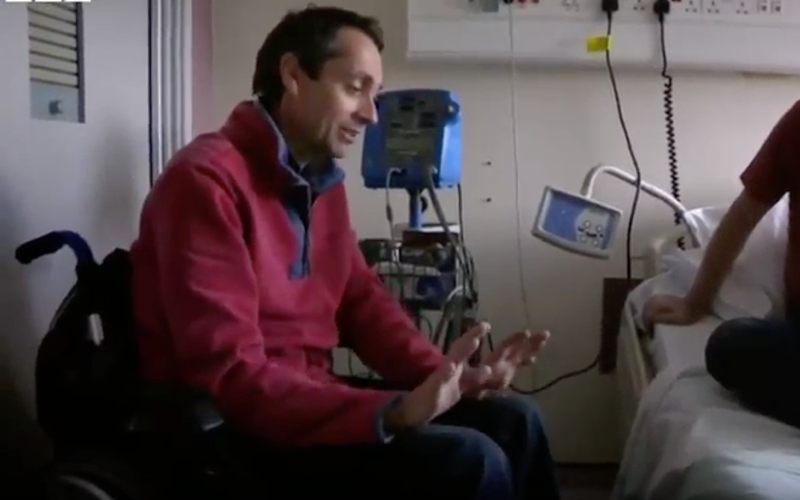 Within 9 days of beginning the treatment, Steven was able to wiggle his toes and after just 4 months he could stand again unaided. It was this regained feeling that motivated him so he made himself a goal: within a year he wanted to take part in another event. Amazingly, after just 10 months he completed a mile-long swim! And before the year is up he can also ride a bike! Steven's next big step is to walk. He can take a few wobbly steps but is keen to get his full mobility back. Professor John Snowden, from the Royal Hallamshire Hospital commented "It’s clear we have made a big impact on patients’ lives, which is gratifying." It is currently believe that within one month of treatment the immune system runs at full potential again and that from then on patients begin to recover; that the treatment re-boots the immune system to a time before the onset of MS. Although there have been many positive results so far, including a blind woman regaining her sight, and patients treated more than 3 years ago are still showing no signs of relapse, this aggressive treatment still holds significant risks and may not be effective for all MS types. So could this be the answer? Could it be possible to reverse this horrible disability? We can only hope. Share Steven's story and this amazing, medical breakthrough, and show your support for those suffering.